I have created a question with a parameter and successfully embedded it to my website. When I try the same with a dashboard (including this question), I get the following error: Unknown parameter :source. In the dashboard sharing configuration I only see This dashboard doesn't have any parameters to configure yet., but I can’t add anything. 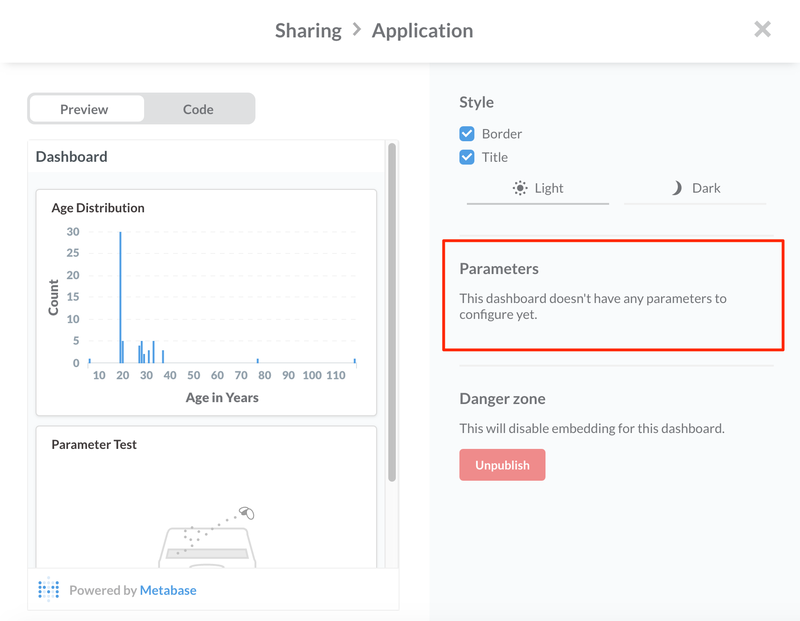 How can I configure a parameter for my dashboard? 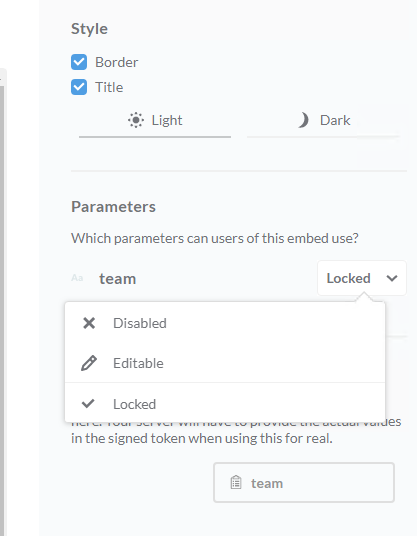 Mine is locked, so the value must be set in the embedding code. If you just want to view the dashboard, set to Editable. Parameters are missing. How can I activate them? For Question Sharing it works as expected. Have you added the parameter into a filter dropdown? That was the missing piece. Thank you very much for your help, @jornh!